Click on the video below and listen is as Sherry Fell of 5 County Real Estate introduces you to the lovely residences at The Wellington Aero Club in Palm Beach County, Florida. Take a listen and you’ll learn why The Aero Club in Wellington, FL is a great place to live; especially if you need a private runway to call your own! Why go to the airport when you can bring the airport to you? The Wellington Aero Club of the Landings is a premier and private aeronautical community in Wellington, Florida. The Wellington Aeroclub of the Landings features expansive homes on the runway or with easy runway access. Many of these lifestyle homes have airplane hangars or room to build a bigger hangar. This community was built beginning in 1989 and has developed into a plush vacation setting over the years. Wellington, FL is recognized as a world-famous equestrian community with gorgeous horses & horse shows just a golf cart ride away! See something that you love? Call 5 County Real Estate on (954) 999-5207 to set up a showing! We are always available to assist you in finding the right home or commercial property for you. If you are looking to sell your home in interested in listing real estate for sale with us – we are you ‘go to’ team. We hope they will provide helpful information. After meeting us “on-line,” we hope you will contact us directly. We will happily answer any questions you may have. 5 County Real Estate never ceases to amaze with beautiful homes and properties for every taste and lifestyle. We have knowledgeable agents who can find the perfect property to meet and exceed your expectations. Whether it is a luxury property, golf property, or lakefront property, we can turn your dreams into a lifetime of happiness! Here’s how to get to The Wellington Aero Club from 5 County Real Estates’ real estate offices in Sunrise, Florida. As of 2015, the median income for a household in the village was $77,233. The per capita income for the village was $40,726. About 2.9% of families and 4.3% of the population were below the poverty line, including 4.2% of those under age 18 and 3.8% of those age 65 or over. Wellington provides a number of ball fields. Beach activities are around a half hour’s drive time, due east, to the Palm Beaches. For variety, from Wellington, one can access Orlando an hour north with Fort Lauderdale less than an hour away and travel to South Beach approximately is about 90 minutes. Wellington is located at 26°39′18″N 80°15′15″W (26.655135, −80.254136). According to the United States Census Bureau, the village has a total area of 31.4 square miles (81 km2), of which 31.0 square miles (80 km2) is land and 0.3 square miles (0.78 km2) is water (0.99%). As of 2010, there were 22,685 households, with 13.3% being vacant. In 2000, there were 12,938 households out of which 69.7% were married couples, 47.2% had children under the age of 18 living with them, 9.7% had a female householder with no husband present, and 17.4% were non-families. 13.2% of all households were made up of individuals and 4.0% had someone living alone who was 65 years of age or older. The average household size was 2.95 and the average family size was 3.25. The 5 County Real Estate members team are passionate about delivering exceptional client experiences. They are your all in one concierge service for Sunrise, all of Broward and Palm Beach Counties as well as South Florida, helping buyers and sellers meet all their real estate goals. 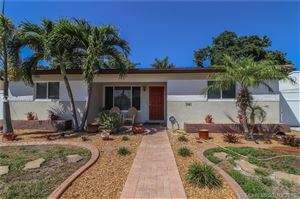 See all their houses for sale in Broward and all of South Florida. Call today at (954) 999-5207.